If you are the cultural type, there are several museums in Reykjavik that are worth seeing. The National Museum of Iceland would be an excellent place to start and is free on Wednesdays. 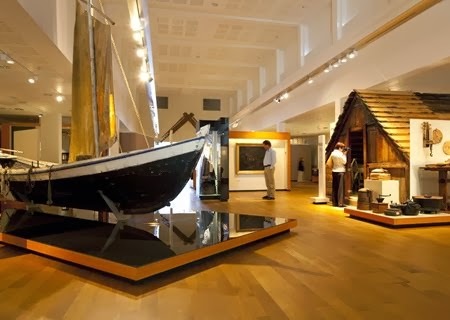 Three floors of exhibits will take you through Icelandic history and leave you with an experience not easily forgotten. The Reykjavik Art Museum is free on Mondays, is situated at three different locations (Hafnarhus, Kjarvalsstadir, and Asmundarsafn) and is a great place for discovering Icelandic contemporary art. If you are into photography, you might want to check out Reykjavik Museum of Photography, located at Tryggvagata 15 and is always free. One of our absolute favorite museums, however, is The 871 Settlement Museum. Admission is Kr 600 ($4.80) so it’s very cheap and well worth it! If you’re interested in the viking era and want to have a unique and interactive experience, this is the place to go. 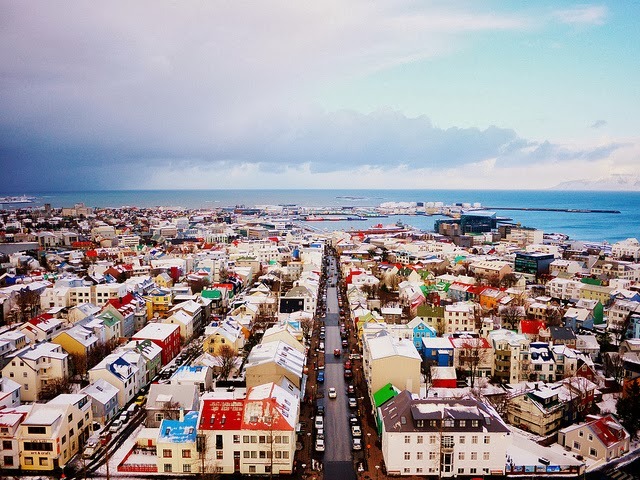 Experiencing the true essence of Reykjavik doesn’t have to cost you. Take a walk downtown, watch and feed the birds at Tjörnin, or “The Pond”, and enjoy the scenery at the heart of Reykjavik. From there, you can head to City Hall, located right next to Tjörnin, and view the massive 3D map of Iceland. Other things to explore close by are Hallgrímskirkja church and the Reykjavik harbor. Hallgrimskirkja church is the tallest building in Iceland and you can take an elevator up to its tower for a small fee of $3, where you have a wonderful view of the Reykjavik area. By the harbor, there are also some interesting things to see, like the Harpa concert hall; one of Iceland’s most beautiful buildings and architectural inspirations. They have a nice café in Harpa with comfy seating if you want to enjoy some coffee and the view. Close by, you can also visit Kolaportið, the largest flea market in Iceland, where you will find some seriously interesting stuff from locals. 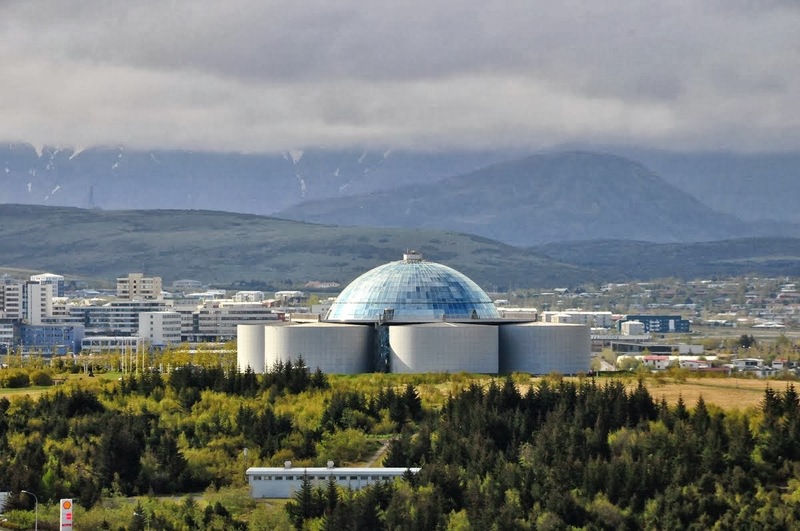 A little farther away from the city center, you will find Perlan, one of Reykjavik’s landmark buildings, with a nice viewing deck that gives you a great 360° panoramic view of the city. Don’t miss the geyser simulator inside Perlan, which erupts every few minutes from the lowest level, shooting the water all the way to the fourth floor. If you haven’t seen the real thing, this will give you a good taste. If the weather is nice, you can take a short hike to Nautholsvik, the only beach in Iceland that has golden sands and geothermally heated water and hot tubs. If you would like to get a nice taste of nature within the Reykjavik area, take a walk around Elliðarárdalur Valley, Laugardalur Valley, or Öskjuhlíð. Elliðarárdalur features a beautiful fishing river (Elliðará) and the valley is one of the most popular areas for recreational walkers and cyclist in Reykjavik. Laugardalur Valley is right next the Laugardalslaug pool (see below) and includes Reykjavik Botanical Garden. It’s a really peaceful place, beautiful to walk around, and the coffee at Café Flora located there is excellent. 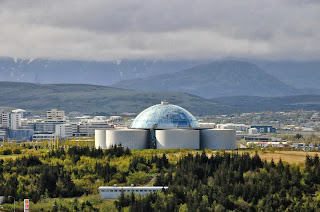 Öskjuhlíð is located by Perlan and is a very popular recreational area in Reykjavik. It’s a wooded area with lots of nice paths for walking and biking. Finally, I recommend that you spend some time exploring one of Reykjavik’s pools. It’s cheap (about $3 for a day pass), fun and relaxing, and a great way to meet locals. Laugardalslaug Geothermal Pool is the largest pool in Iceland and offers the best facilities. For a less tourist-y experience, I would recommend Sundhöll Reykjavikur. It’s located in Iceland’s most beautiful buildings in our opinion, design by architect Gudjon Samuelsson (who also designed Hallgrimskirkja church), and it has an interesting atmosphere. Here is a great source for all the pools in Iceland. Another great way to experience Reykjavik is by bike, especially if the weather is nice. Check out some tours and rental locations here. If you tend to get lost and would rather be a part of a guided tour than exploring yourself, there is a Free Walking Tour during the summer season. 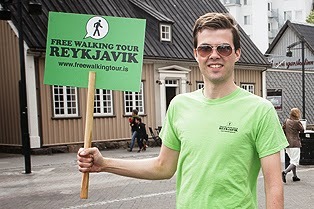 The tour meets twice a day at Lækjatorg square, at 12:00 pm and 14:00 pm. First, let’s get the obvious recommendations out of the way. 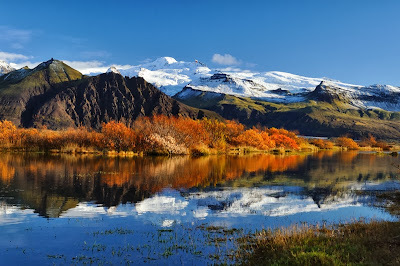 Enjoy the beautiful Icelandic landscape! That’s why you came to Iceland in the first place, right? Iceland is full of volcanoes, lava fields, glaciers, lakes, sand beaches, rivers, cliffs, fjords, and other beautiful natural phenomena. If you enjoy hiking, there are endless options for you. People like different kinds of trails but there is definitely something for everyone. If you are not an extreme hiker, just drive along the ring road, stop at any beautiful place, and walk around. For example, the hike to Seljavallalaug is short and easy, but very rewarding. 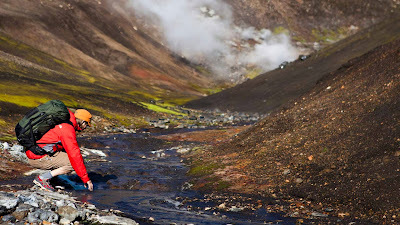 If you are a more experienced hiker, you can check out one of many known hiking trails/areas in Iceland, like Landmannalaugar or the Laugarvegur hiking trail. For more information about hiking, click here. Other ways to enjoy the Icelandic nature include bird watching, whale watching, and seal watching. You can enjoy all of Iceland’s beautiful nature for free. The only thing that will cost you is transportation or a guide. Of course I’d recommend the freedom of having a Happy Camper, but if you don’t plan on having one, check out the bus tours here. Make sure to stop by all the national parks. Admission is completely free, so don’t miss Thingvellir, Skaftafell, and Asbyrgi national parks.